Remember that kid at Blizzcon that asked the WoW developers what happened to Falstad Wildhammer and made you realize that, no matter how bad life gets, at least you're not him? 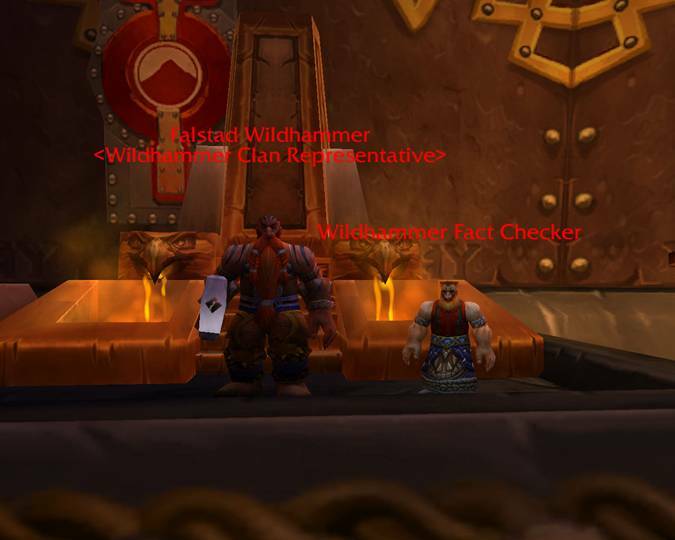 Well they decided to include Wildhammer Fact Checker in the game, standing right next to the elusive Falstad! Sadly, this is officially the happiest day of guy's life. It's all downhill from here, buddy! Thanks to Owen, who -- Owen't you glad you're not that guy? I know I am.